Dr. Morhaliek is general dentist who has been in practice since 1999. He received both his Doctorate Degree in Dentistry and Bachelor Degree in Sciences at the University of Alberta. Through his training at the Pacific Training Institute for Facial Aesthetics, the Las Vegas Institute, the Millennium Institute and the Frontier Institute (formerly the California Center for Advanced Dental Studies), Dr. Morhaliek has developed a diverse skill-set in the fields of facial rejuvenation and aesthetic dentistry. Dr. Morhaliek is a graduate of the PTIFA’s botulinum toxin (aka Dysport®/Botox®) programs. 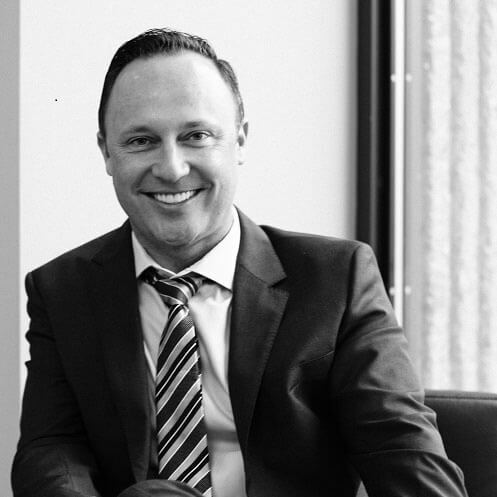 Since 2008, Dr. Morhaliek and his team have successfully integrated botulinum toxin into Simply Amazing Smiles – his practice located in Kelowna, BC. Dr. Morhaliek and his team have confidently been able to improve the lives of their patients – both therapeutically and cosmetically with the clinical protocols taught through PTIFA. Dr. Morhaliek attributes his practice’s success to the team-focused integration taught in Level 2 and Level 3. Dr. Morhaliek has a passion for natural-looking aesthetic treatments and sharing his experience with other practitioners. He firmly believes that any practitioner who wishes to integrate Botox and facial rejuvenation into their practice should invest in the highest level of training through PTIFA. Dr. Morhaliek has successfully created a unique culture of care within his practice that has had a positive impact on the lives of his patients and his team. Dr. Morhaliek is certified by the National Dental Examining Board of Canada and licensed by the College of Dental Surgeons of British Columbia. Dr. Morhaliek and his team are proud alumni of some of the most prestigious post-doctorate dental institutions in the world. Dr. Morhaliek is honoured to be an active Clinical Instructor with PTIFA and mentor on topics of facial rejuvenation, including botulinum toxin and practice integration.